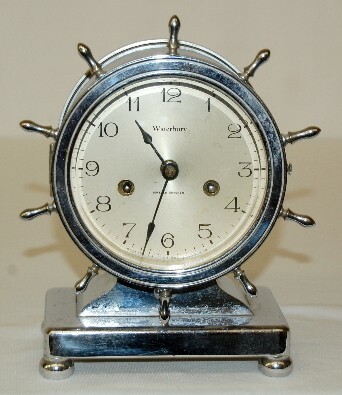 Waterbury Ship's Bell Clock No. 17 marked silver metal dial "Waterbury; Jeweled Movement"; 8 day; T & S; chrome finish. (Not running.) 8"